Prime Telecommunications sponsors a hole at the Action Sertoma Golf Outing! The Action Sertoma Club would like to thank all of our supporters of our 2016 Golf Outing Fundraiser which was held on July 13th 2016, at the Odyssey Country Club in Tinley Park, IL. The event was a tremendous success, the weather was perfect, over 230 golfers and guests attended the event, and it would not have been such a great success without your support. We thank you for being a Hole Sponsor. Each year our club attempts to raise more funds then the previous year. This year was no exception. All of the funds raised at this event will be donated to the Sertoma Centre, Inc. The Centre since 1971 has been assisting people with personal challenges, including mental health, developmental, mental and physical disabilities. This year over 1,200 people with disabilities are being served daily. Again we thank you for your support, without you we would not be able to assist in the donations we make to the Sertoma Centre, Inc. According to privacy researchers at the Ponemon Institute, “Recent numbers show 90% of health care organizations have exposed their patients’ data — or had it stolen — in 2012 and 2013.” The implications of this research are far-reaching and unsettling for most consumers. Most attacks are caused by hackers who want to acquire medical records due to their extreme value. The information in medical records (name, birthdate, addresses, phone numbers, medical history and social security numbers), can be easily used for identity theft, fraudulent medical billing or acquiring prescriptions to resell on the street. Hackers can use the medical information to accomplish just about anything once acquired. This flaw in IT security is not a series of isolated incidents but an incredibly widespread problem now affecting millions of people across the nation. The challenge here is that doctors are inherently more interested in saving lives, instead of upgrading their IT security. This a great thing for society and we believe that’s exactly what doctors should be focused on! The only thing is that IT security must be addressed too. Over the years, we’ve learned exactly what it takes to protect health organizations and we love being a part of the solution to this problem. It’s unfortunate when something like this happens but it brings much needed education to the issues at hand. We consider it our duty to educate our market and provide doctors with the technology tools they need to do their jobs, protect their patients and spend their time focused on saving lives, instead of firewalls. That’s our job. To start this off, I am biased. I am for affordable healthcare, I am for the affordable heathcare act, I own and run my own small business. I understand technology. I have worked on small governtment IT projects through the GSA. Therefore, I am an interested party with some experience. I do not have a political agenda or a party affiliation. I vote- but I do not contribute to political campaigns. Now that you know what my bias is, let’s just say I am really upset. “For the first time in history, a president has had to stand in the Rose Garden to apologize for a broken Web site,” Clay Johnson writes for the New York Times. That is extraordinary. Think back even 10 years. Would any government website have got that sort of attention then? So, the Web has become truly critical to society. And this is really positive. Because the Web is the interface between humans and technology. When there is a focus on the Web there is a focus on how things work, how easy it is to do things. The web exposes giant technological investments that are hidden behind the scenes. And as anybody who works in the technology world knows, a huge number of these systems are massively expensive and grossly inefficient. CMS serves the important role of systems integrator or “quarterback” on this project and is the ultimate responsible party for the end-to-end performance of the overall Federal Exchange. Basically, the Centers for Medicare and Medicaid Services were not the right choice to integrate all of the different vendors. They may know how to acquire lots of products and services- but they don’t know how to build a high-traffic transactional website. CMS had to play by the governments own way for acquiring products and services. They may know how to acquire lots of products and services- but they don’t know how to build a high-traffic transactional website. 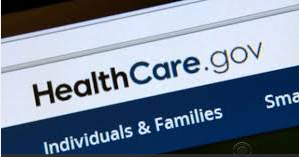 Not enough tests were performed on the HealthCare.gov website by the government and its contractors before the site was launched Oct. 1, a Department of Health and Human Services official said Thursday. They did not make the project fit into a realistic time frame. They had three years to work on this and they came out with a camel (e.g. a horse designed by a comittee). It reminds me of a paper written the night before a deadline- okay to learn from for sophomores in highschool. Unacceptible anywhere else. This was built trailblazing new paths backwards. Use of the cloud- setting up applications, testing them, virutalizing servers and adding capacity would have been the way to go. Trying to reinvent the wheel and building everything from scratch is prone to difficulties as we have found out. In the course of the past twenty years,if things went horribly wrong, we got called out to our client to account for our actions. In some cases, we actually made the clients whole by compensating them. It was the right thing go do. I expect no less of our elected officials, bureaucrats and government contractors. It’s called leadership. Video conferencing is booming. Here are 7 reasons why. Video conferencing has been around for almost three decades, but in 2013, it is rapidly becoming an everyday part of doing business. As consumer offerings have grown, business interest has also expanded to meet the desire for a richer form of communication. In our new Trend Advisor, “Video Solutions in theEnterprise,” we explore the seven reasons why corporate video conferencing is booming and why businesses of all sizes can’t afford to be left out. One trend is how the proliferation of smart mobile devices is driving the desire for life like, affordable and easy-to-use video conferencing in the workplace. To read the other six trends that are fueling corporate interest in adopting video conferencing, download the free Avaya Trend Advisor here: http://bit.ly/WZgzve. When the first personal computers appeared nearly 40 years ago, it was a revolutionary moment. The ability to set up a spreadsheet on the screen of a computer and instantly recalculate when any variable changed was such a huge advance that workers would secretly slip PCs (i.e., the Apple II) into the workplace under their coats. And so consumerization and the first Bring Your Own Device (BYOD) assault on the IT department were underway. Eventually, of course, IT reasserted control, thanks to the ascendancy of MS-DOS and later Windows. Fast forward to 2012. Instead of slipping PCs in under their arms, workers armed with tablets, smartphones, ultrathin laptops and more are once again manning the ramparts. It’s déjà vu all over again, but this time it’s here to stay. Unlike the first PCs, today’s devices are cheaper, smaller and far more versatile. At the end of 2011, there were 6 billion mobile subscriptions, according to The International Telecommunication Union (2011), equivalent to 87 percent of the world population. Some 300,000+ applications were downloaded 10.9 billion times. On average US feature-phone users have 10 apps on board. Given the scale of the change, more and more consultants like Forrester are warning of major disruptions if businesses do not implement a thorough mobile strategy across the enterprise. These disruptions include problems in coordinating data, network access and applications across multiple channels; servers and infrastructure that are unable to handle the surge in activity; applications poorly constructed for user engagement; and business processes that are misaligned with mobile requirements. Forrester recommends that companies start to get a grip on the new era of mobility by establishing the office of the chief mobility officer with a focus on crafting an approach to the company’s mobile architecture and mobile engagement practices, including the adoption of Cloud solutions, which are being driven by the mobile shift. BYOD, consumerization, the Cloud and more are all here to stay. Waiting to see how they evolve is likely to leave you feeling overwhelmed.